Chrome flags are hidden settings for new browser features. Flags allow you to enable Chrome features that are being tested and yet to be released to the main channel. As in a test mode, these features are generally unstable. You can enable them if you want to try them out. Every version update adds some ‘test’ features to regular channel and adds some new features to test mode. This article is updated regularly to track the latest flags of Chrome Canary channel. The outdated flags are removed and new flags are added regularly. Canary is a special version of Google Chrome that is targeted at developers and is a frequently-updated experimental build that gets the latest changes before any other version. It changes every day so the most of the new features are added to Chrome Canary before the normal stable version of Chrome. So if you want to test those hidden and new features, you should download Google Chrome Canary. Type chrome://flags into the address bar. The page will display the option to enable or disable the hidden features. Some features are OS specific and other can be activated on all platforms. Some features may be already have added to the stable release of Google Chrome but not activated, you can try to find them on the stable version also. 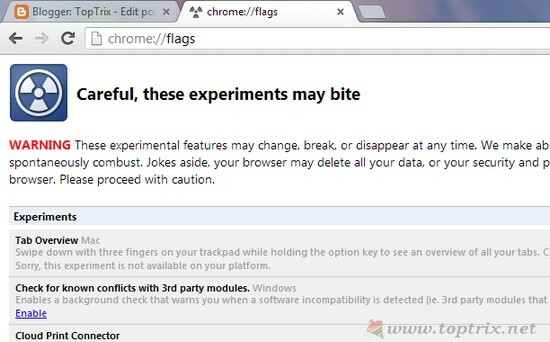 Warning: This setting may make your browser unstable so be careful. This is a small notification that will tell you about the installation of new applications from the Google Chrome web store. The current version does not have this function. This is little but informative and useful tweak. Do you have multiple tabs open from same domain or website and if you want all the tabs from the same domain to another new chrome window, this feature will help you to do that in just one click. Right-click on any one tab of that domain and select the option 'Select by domain'. If you want to open any single tab in a new window just click on the tab, hold and drag it, it will be opened in new window, but if you change your mind in a while, you can also release it in the title bar so that it will remain in the same window. A bookmark star will be from the chrome address bar will be replaced by a drop-down or plus button and it will give you more option than just a plain bookmarking option. If you blog or write over the web, this useful but I couldn't get it working. 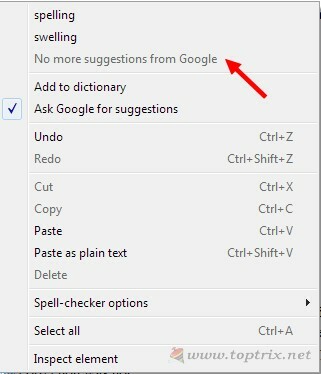 The spelling suggestion worked but it was not much impressed. The Google Chrome will replace the native windows dictionary with the online dictionary to suggest you the correct spelling and as per your writing behavior, Google will suggest you the best. It worked for me but the automatic spelling correction was not. How do you remember your passwords? Do you use a software like Keypass Password Safe or extension like the Last Pass? Ok, the other thing is how do you generate passwords? Do you use any tool to generate strong passwords? More and more web services we use, more accounts and more passwords. Google Chrome will help you to generate strong passwords so that make your password safer. If you enable this feature and when you are creating any new account on any website, Google Chrome will suggest you a strong password. 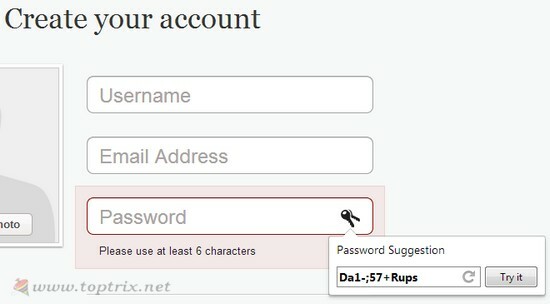 It will show a small key icon in the password text box, clicking upon which, Chrome will give you a strong password. 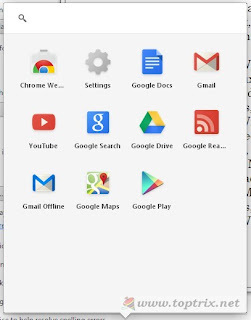 How you access chrome applications? 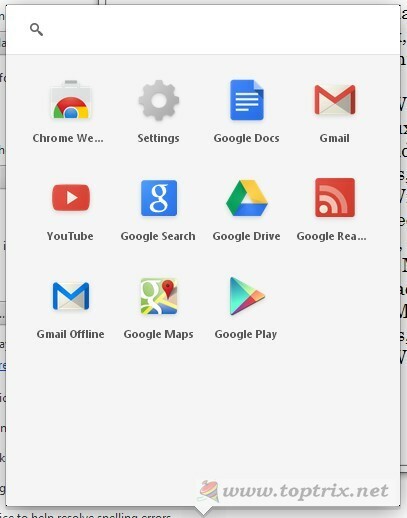 Currently, all installed applications accessed from a Chrome application page but after you enable Chrome App Launcher, a Chrome App menu will be installed on Windows taskbar where you can access those applications without opening the Chrome browser. 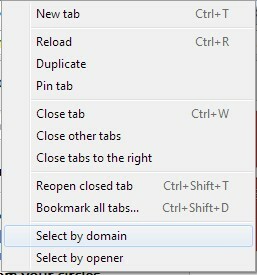 Too late in Chrome, Firefox has it far longer but you can still enable it. If you are signed in to your Google account and have enabled the Sync, Chrome will ask you for Logging into the websites for which your user ID and password is saved to Chrome. You don't have to click on the sign-in button. Chrome will do it for you. This is a great help for your privacy and security. Currently, this feature is available as an extension but in future Chrome release, it will be built-in. Extension activity notification will continuously monitor all the extensions installed into Chrome and the number of extensions currently interacting with the particular web page or tab will be displayed in the URL bar. The number is different for different tabs. Using this, you can find out the insecure extensions and easily weed out the problematic and suspicious extensions. There are many other features available on the Chrome://flags page but what I share with you is the most common features a common user or a real user will be interested in. Other features are more related to the developers and I am just a common user. There are other pages that will give you more information about your browser like chrome://version , chrome://chrome-urls , chrome://flash , chrome://cache . You can easily understand what these pages are about. You can try them directly clicking on the above links or typing the same in the URL bar of your browser.